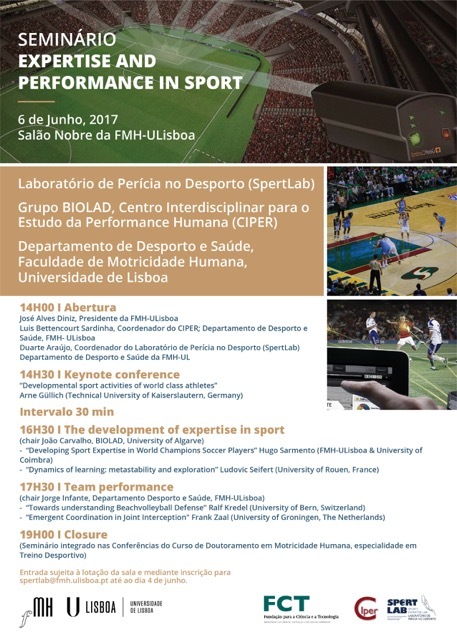 BIOLAD-CIPER of Faculdade de Motricidade Humana - ULisboa organizes the seminary Expertise and Performance in Sport in July 6th 2017 from 2pm to 7pm at the Salão Nobre of Faculdade de Motricidade Humana, Lisbon (Portugal). 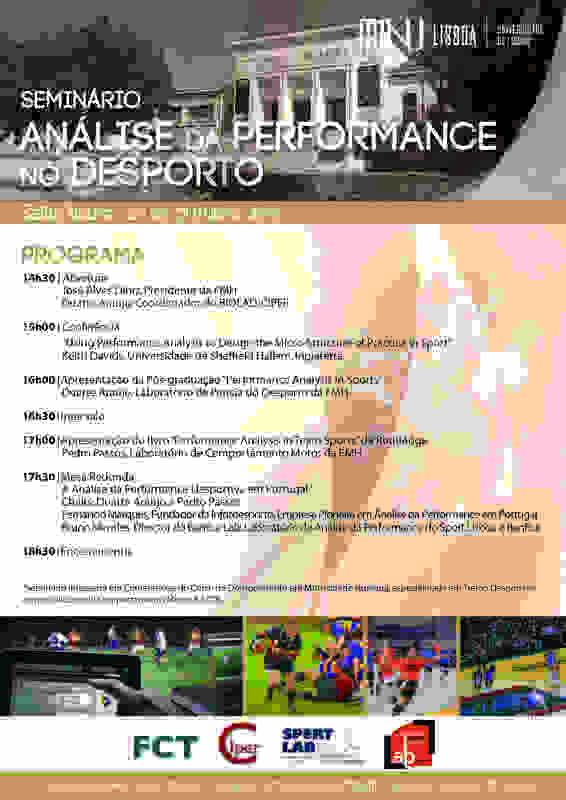 BIOLAD-CIPER of Faculdade de Motricidade Humana - ULisboa, organizes the seminary Performanace Analysys in Sport on 27 de Outubro from 2:30 pm to 6:30 pm in the Salão Nobre of Faculdade de Motricidade Humana, Lisbon (Portugal). SpertLab team examined the interactions between the players in the games Croatia vs Portugal from the 2016 Football European Cup. 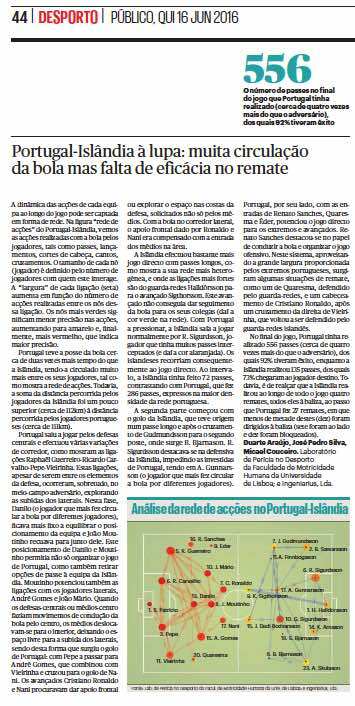 The result was publicated today by daily national newspaper Público. 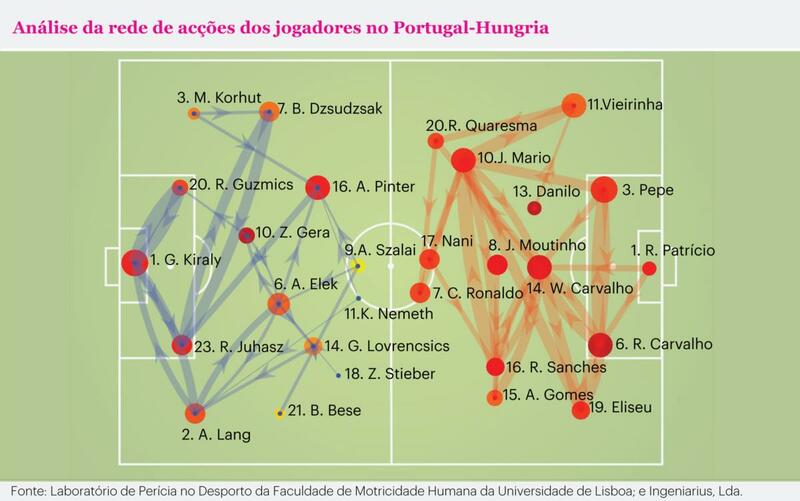 SpertLab team examined the interactions between the players in the games Portugal vs Hungary from the 2016 Football European Cup. 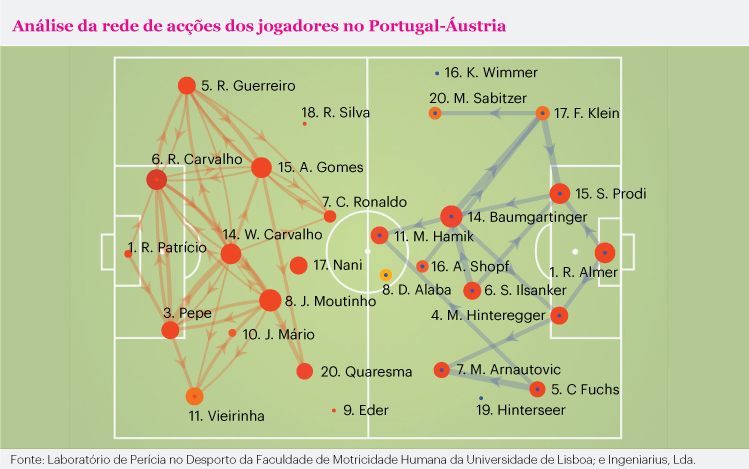 SpertLab team examined the interactions between the players in the games Portugal vs Austria from the 2016 Football European Cup. SpertLab team examined the interactions between the players in the games Portugal vs Iceland from the 2016 Football European Cup. 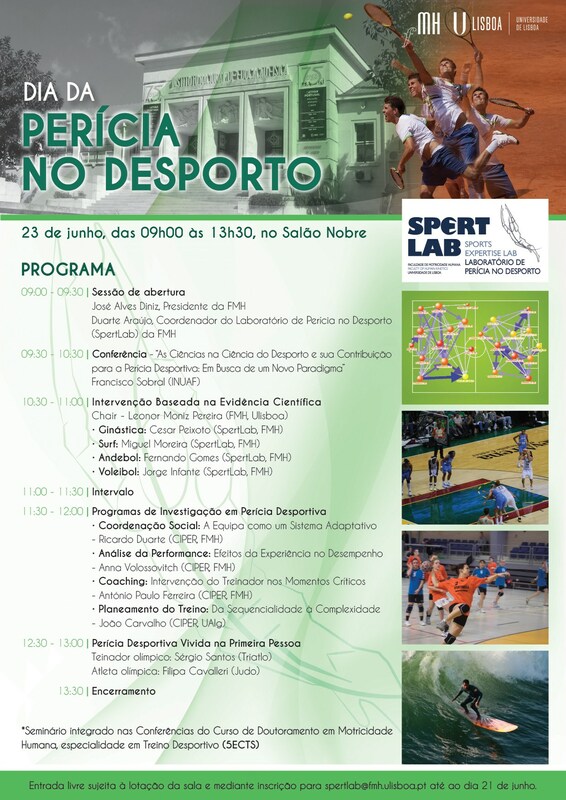 Spertlab organizes Dia da Perícia no Deporto on June 23 from 9:00 am to 1:30 pm in the Salão Nobre of Faculdade de Motricidade Humana, Lisbon (Portugal).